LET THE COMPETITION BEGIN!!! There is nothing like friendly game of hoops with family and friends on a warm sunny day. This inflatable interactive game can easily provide hours and hours of excitement. The constant urge to top your own or adversaries score is endless because this Hoop Zone is designed in a 3 tiered style. It is very easy to rack up some serious points. I highly recommend this inflatable for any type of gathering. Happy Jump’s Hoop Zone Your best choice for a light weight inflatable game. 3 Hoops of different size and different distance to keep the participants entertained for hours. 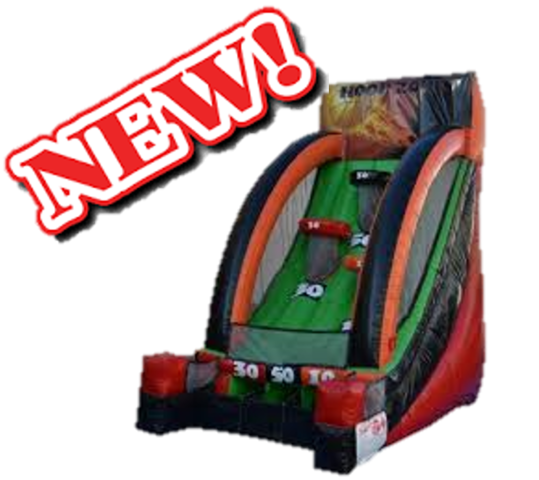 Innovative internal tubing for ball return and score keeping, this exclusive feature enables the participants to keep score of their shots and challenge each other for high score.